Koh Kai Nai is a very small island in the Andaman Sea located around 700 meters northwest of the island Koh Kai Nok. In relation to Phuket, the island is about 10 kilometers to the east of Koh Sirey Island off Phuket’s East coast and 8 km. west of Koh Yao Yai Island. It is part of a group of two islands also including Khai Nok Island. Koh Khai Nai is just about 50 meters long. Departure point on Phuket is at the Pier Rassada just to the east of Phuket Town on Phuket Island. A speedboat trip from Phuket Island typically leaves in the morning and takes between 30 and 40 minutes, depending on the height of the sea’s waves (worse between May and November). The tour boats spend time at both islands. 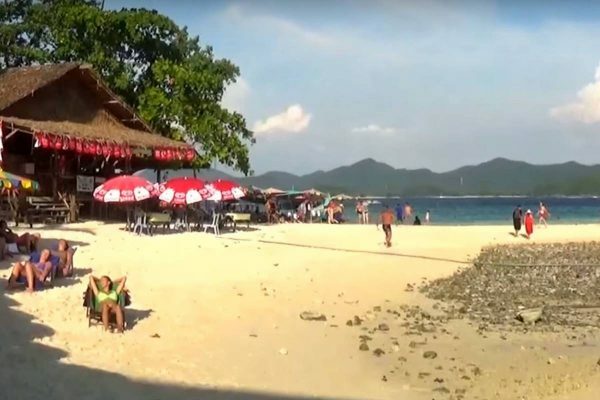 To reach Rassada Pier from Patong Beach, travel on Highway 4029 over the mountain toward Phuket Town and then to Anuphas Phuket Karn Road down to Rassada Pier.